We are located in downtown Edmonton the corner of 105th St. & Jasper Ave.
We aren’t all created equal when it comes to eyewear. Dr. Barry Nolt’s Eye Clinic in Edmonton offers a large selection of designer eyewear, prescription shooting glasses, contact lenses and safety frames to guarantee you will find the combination to suit your individual needs and lifestyle. Choosing the right eyewear is often challenging. Our Edmonton eyeglasses and contact lenses professionals will help you select the color, style and shape of your glasses to ensure that they are just right for your eyes. Our full service Optometric office is designed to meet both your eye health needs as well as your eyewear requirements. Our contact lens technicians in Edmonton can take the confusion out of which lenses are right for your lifestyle. Multi-focal, toric, dailies, monthly lenses, colors and RGP's....let us help you discover your personal favorites. Learn more. In addition to improving your vision, your eyewear impacts your self perception. Just like your clothing fashion, the eye glasses and sunglasses you wear make a statement about who you are. 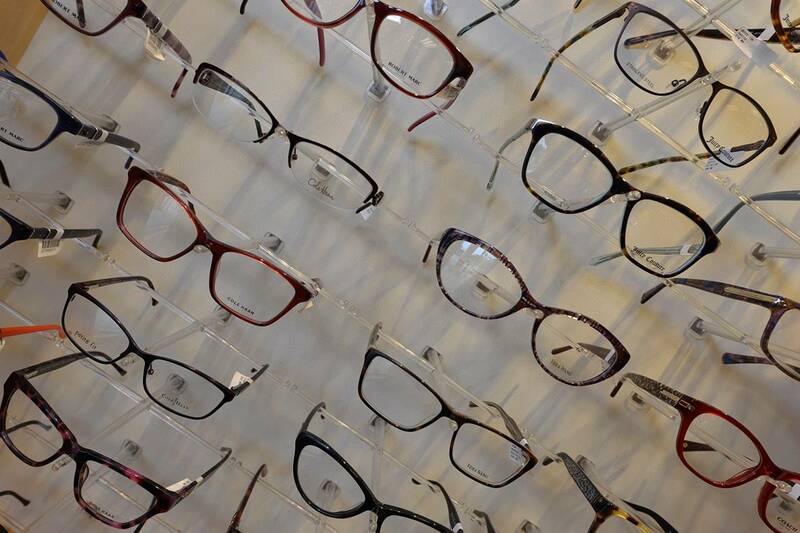 This is why we offer a large variety of styles, designers and shapes; to suit your eyesight, your image and your wallet. Our clinic holds one of the largest selections of eyeglasses and contact lenses in Edmonton Alberta. We carry a large variety of top designer frames for both eyeglasses and sunglasses. See all our great brands! Whether or not you require vision correction, sunglasses can enhance performance to your activities, while helping you look great. Scratches, glare, ultraviolet rays—all are potential hazards to healthy sight that can be minimized or eliminated by a lens treatment.